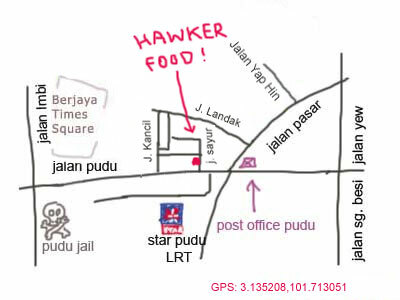 Many of you undoubtedly know that Jalan Sayur in Pudu is one of the best places to go for supper. 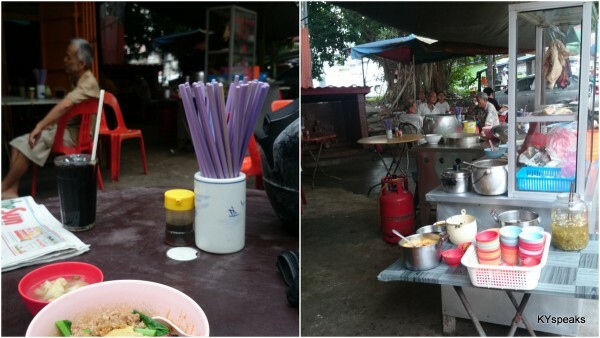 The street is closed for vehicular traffic at night and transformed itself to a Malaysian style alfresco dining area with little regards to proper hygiene or safety code, just the way we like it. However, there are also a some delicious stuff to be had if you’re a breakfast person. 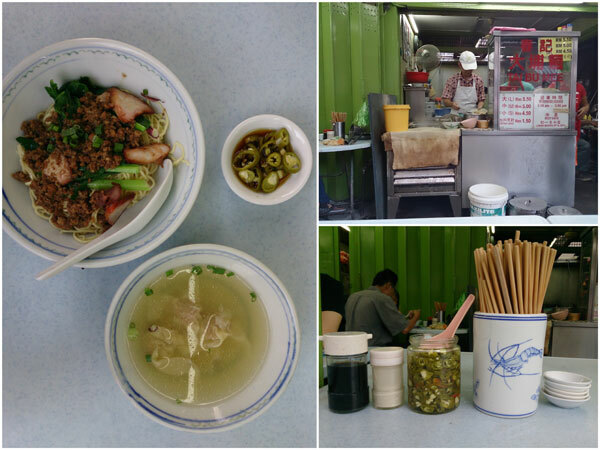 Head into the street in the morning and go all the way until the end (pass Chun Kee Hakka Noodle) and you’ll find a shack on your ride, just across the church. 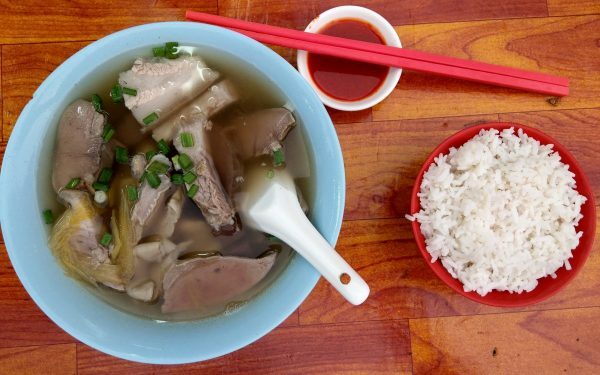 In the morning, they serve a selection of familiar breakfast dishes – wantan mee, curry mee, chicken horfun and so forth. The best part though, is that you can sorta make a combination of different things, if you like. 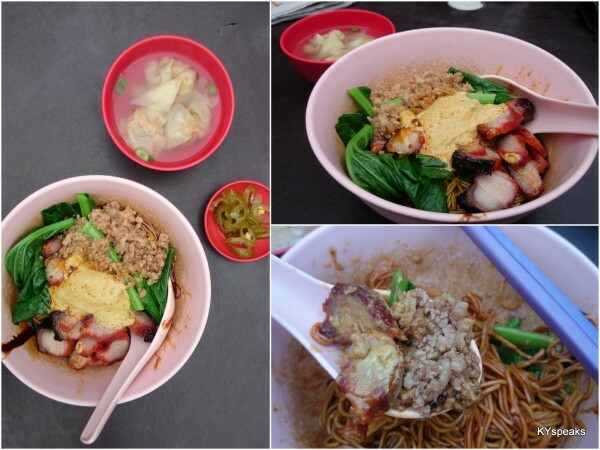 And today I just want to point out that if you order a plate of wantan mee, add some minced meat, and then pour a bit of those thick & creamy curry sauce on top, you’ll end up with something that makes your stomach happy for the rest of the morning. So if you’re around town for breakfast, check this place out. 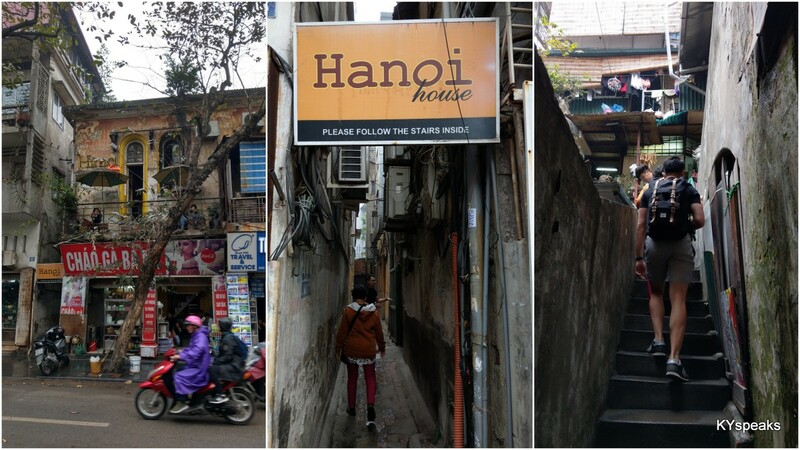 I’ve pretty much totally forgotten about this place until horng tweeted about it several days ago. Dug through the photo album uploaded from my old phone, and viola! 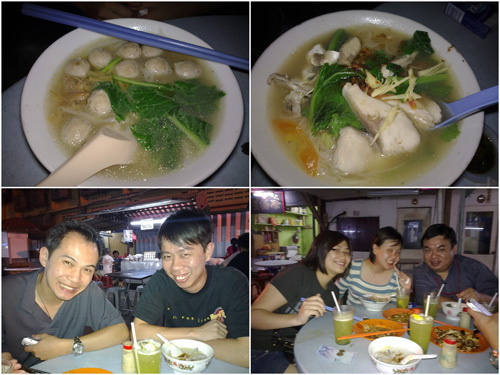 There are materials which I had failed to share from the awesome roadside hawker centre at Jalan Sayur. So this post is brought to you by the procrastinator in me, enjoy! I’ve written about the pork intestine porridge and chee cheong fun at this place, but here few more things you should definitely check out if you ever find yourself at the vicinity. 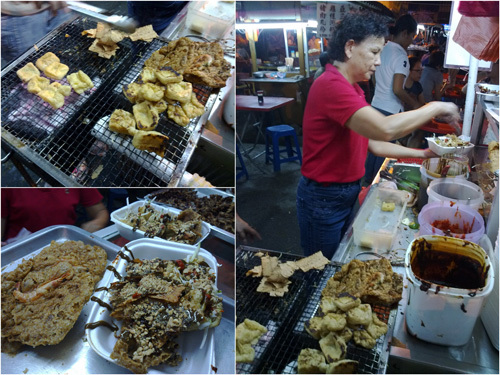 First off is the tofu bakar & prawn fritters by this aunty in red t-shirt (aunty not always in red t-shirt, however). The sauce is home made and very different from anything I’ve ever had. 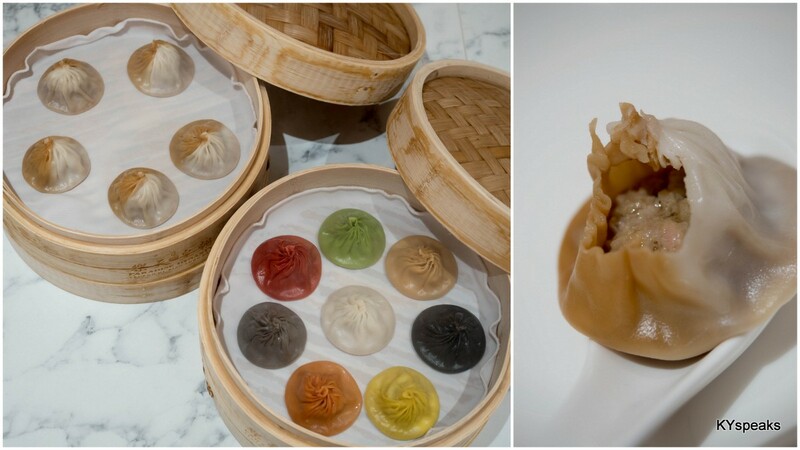 A strong hint of belacan + prawn paste in it, and definitely come with a kick. 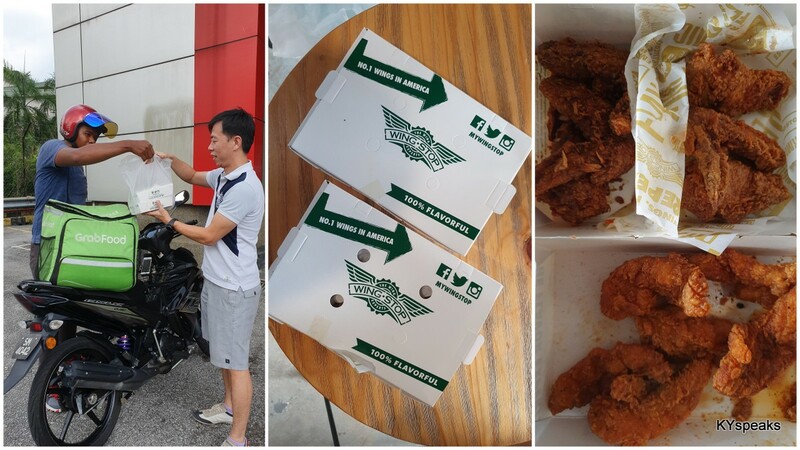 Can’t remember the price, but not more than a few ringgit per plate. She also offers grilled cuttle fish, but those things can be pricey. 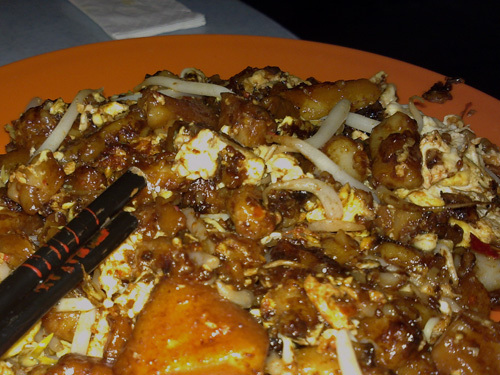 The tweet from Horng though, was the char kueh kak, or Penang style fried radish that comes with egg, bean sprout, and a bit of finely chopped salted vegetable (choi pou). 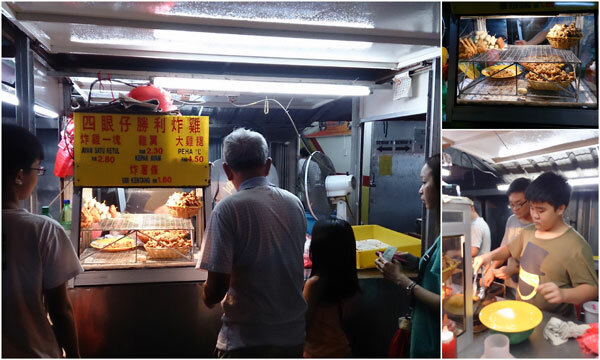 You can often find char kueh kak stalls at various pasar malam, but most of the time the quality is a bit of a suspect. 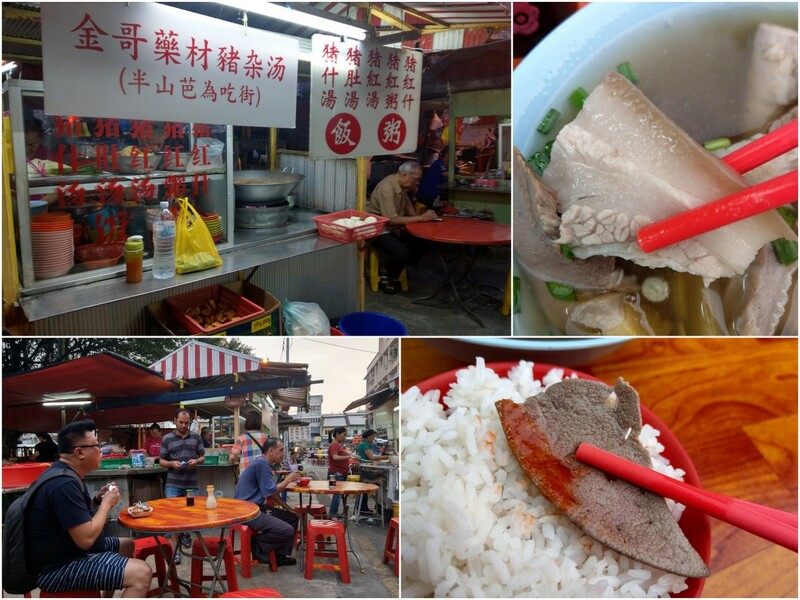 This was why I had only written about one other char kueh kak place in Penang on this blog. The version sold here is as good as any decent one you can find on the island, plenty of “wok hei”, flavorful, and satisfying for the char kueh kak fan in me. 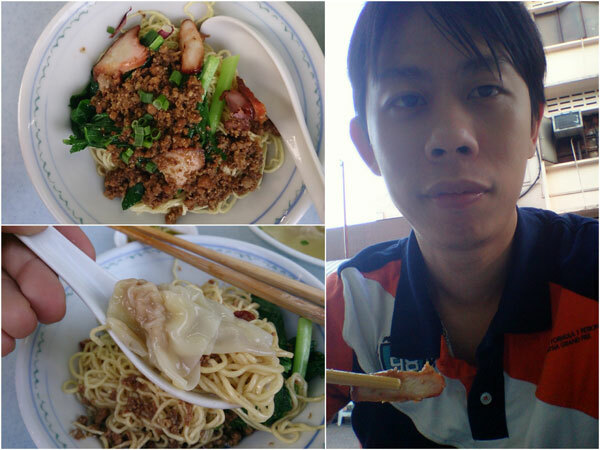 During the same session, others had pork ball noodles and fish noodle from another stall that turned out pretty good too. 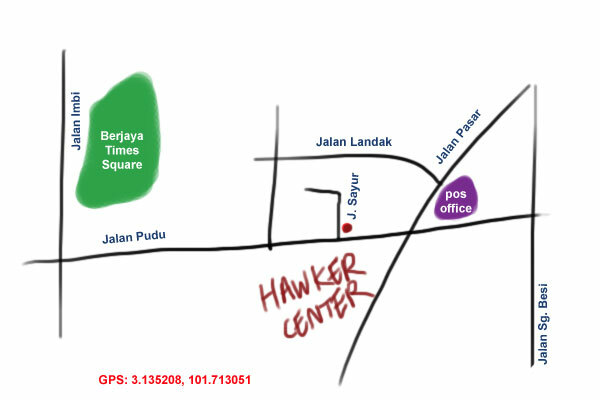 There is still one other stall selling fried chicken that I have yet to try at Jalan Sayur hawker centre (always a super long queue), so perhaps next trip!